Nestled in the heart of Mid West Ireland, the Shannon Heritage will take you to a journey through the historical milestones of Irish history from prehistoric to Celtic, Viking to Anglo-Norman and Native Irish to modern Irish Celts. The highlights of Shannon Heritage are the 15th century Bunratty Castle, the Folk Park from 19th century, Dunguaire Castle and the award winning and prehistoric Craggaunowen Park. Other attractions that can be explored during the daytime are King John’s Castle, Malahide Castle & gardens and GPO Witness History. 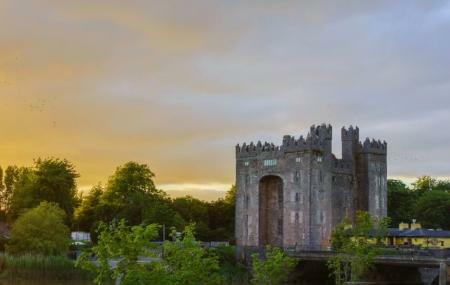 Evenings are ever so lively and vibrant with the banquets at Bunratty Castle, Knappogue Castle, Dunguaire Castle as well as the Irish Evening at Bunratty Castle. With its walled rose garden, Knappogue is also a premier wedding venue. How popular is Shannon Heritage? People normally club together The Creamery Bar and Durty Nelly's while planning their visit to Shannon Heritage. People also prefer to start their day with Shannon Heritage. Great experience for young and old, locals or visitors. Mix of history and fun is great for bringing the kids to. Bought a year pass as you can keep going back and enjoy it all over again. BUNRATTY CASTLE AND FOLK PARK. A GREAT DAY OUT FIR ALL THE FAMILY. It's lovely place to visit and enjoying the knowledge of Irish culture. Well worth a visit the goal park has great potential. My kids found fascinating and learned a lot.